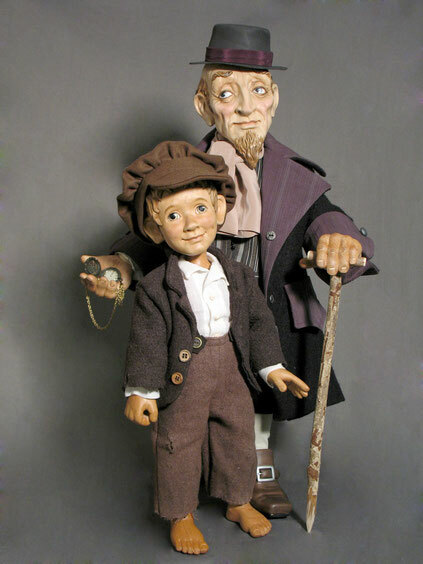 From the beloved novel by Charles Dickens, the impoverished young boy and the illustrious pickpocket have taken on life in these artfully carved designs. 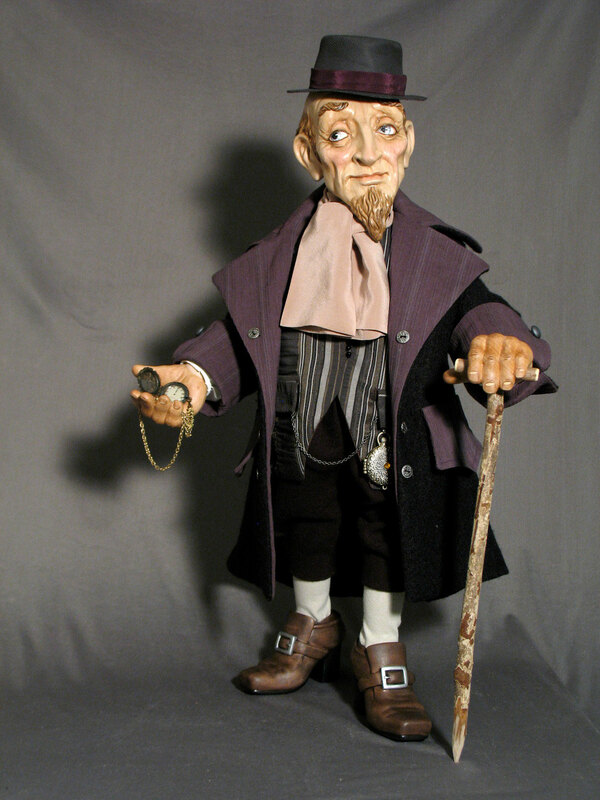 Fagin stands 24” and is amazingly carved. He is dressed in wool trousers, a linen shirt, brocade vest and a wool jacket. He is carrying several pocket watches and a wooden cane. 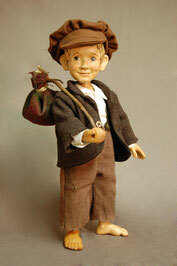 Oliver Twist stands 17” with 13 moveable joints. He is dressed in rough wool pants, jacket, and a linen shirt. With his hat on and possessions packed away he is every bit the tattered street urchin. We can have Oliver Twist available in approx: 4 to 5 weeks. Please contact us to inquire about ordering. Free Shipping in North America, please use this button. For International Orders, please use this button. Please allow 4 to 5 weeks for delivery.